The LA Times includes a great column in the food section called Culinary SOS. People from Southern California write in about tasty dishes they ate at restaurants in California and elsewhere. The LA Times then posts the recipes for all to try. Since Patrick has been back, we have been cooking a lot, and this has always been one of those dishes I can’t stay away from. In fact, Irene, my college roommate, turned me on to this dish as she used to work at CPK in high school and this was one of her favorites. My recipe makes the dish a bit lighter, but still with a great flavor. 1. Put the cut up chicken breasts in a bowl with the soy sauce. Toss, and set aside to allow to marinate. 2. Cook the pasta according to the directions on the package to al dente. Drain, toss with the one tablespoon olive oil to keep from sticking, and set aside. 3. Make the tequila-lime mixture: In a medium saucepan, cook half of the cilantro, garlic and jalapeno with two tablespoons butter over medium heat until aromatic and garlic is turning slightly golden – about 5 minutes. Pour in the chicken broth, tequila and lime juice, bring to a boil, and cook until the sauce has thickened and most liquid is gone, about 10 minutes. 4. Heat the remaining tablespoon butter in a large sauté pan and add onion and bell peppers. Cook for about 5 minutes over medium heat until the veggies have softened. 5. Add the chicken and soy sauce to the pan and toss. Then add the tequila-lime mixture and the cream and milk, increase the heat to a gentle boil, and cook until the chicken is cooked through and the sauce thickens slightly (will thicken more the more fatty dairy you use), about 15 minutes. 6. 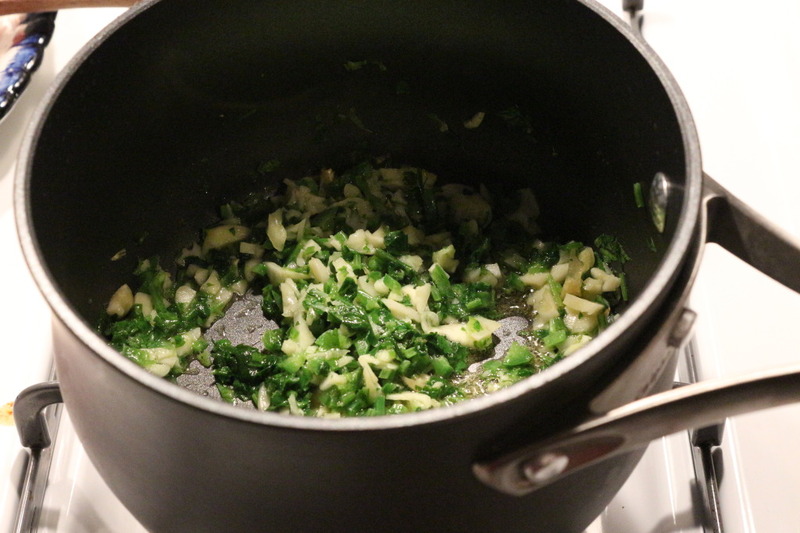 Turn down the heat and toss in the linguine, remaining cilantro and salt. Mix well. 7. Serve immediately with extra lime wedges and salt as needed. 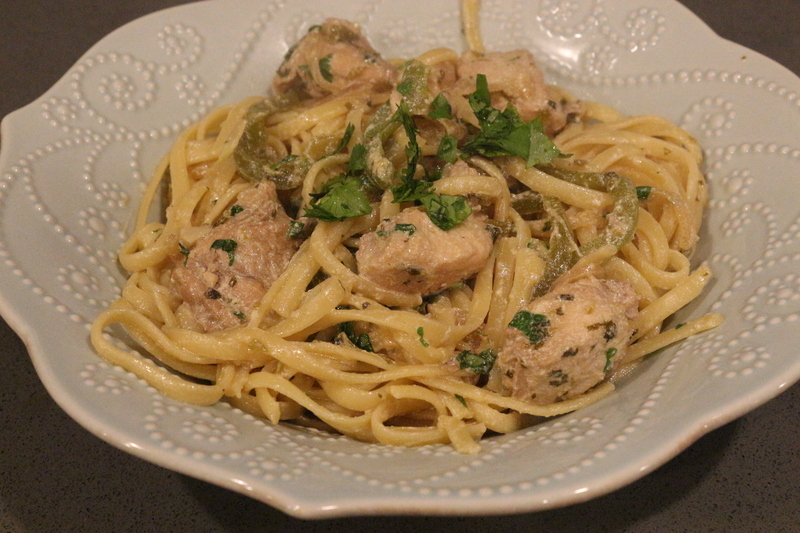 This entry was posted in Mains and tagged Chicken, Italian Foods, LiMeS, Mexican foods, Pasta. Bookmark the permalink.